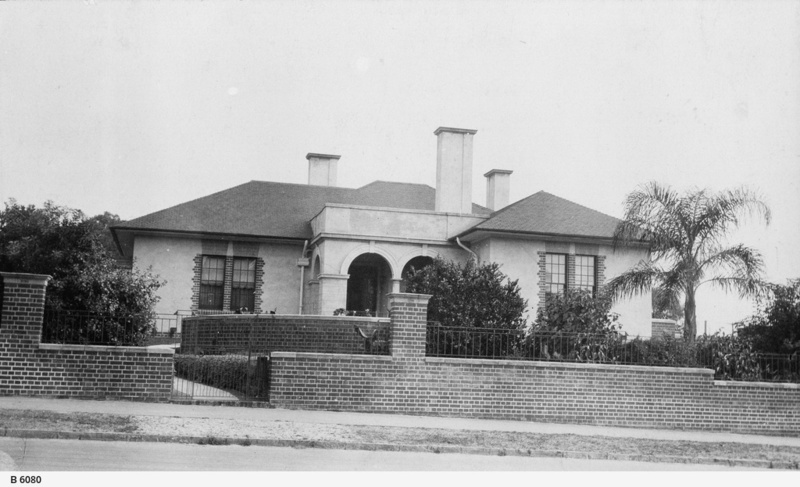 East Terrace, 7th July 1931 showing a house erected in 1929-30 on a vacant site. Right side of house is 40 yards south of Angas Street. Frontage: 31 1/2 yards. This triple fronted rendered bungalow stands on a raised block on the corner of Angas Street and East Terrace.